I only remember enough of my high school Latin to give helpful hints while doing crossword puzzles, but today this phrase comes to mind: Caveat lector = Let the reader beware. While I don’t think there is anything dangerous* in these paragraphs, I want readers to understand that they are primarily for the Christian, the committed follower of Jesus. For some time in Bible studies where I am the teacher or facilitator, I’ve emphasized two words: So what? Although all of us have learned how the three elements of think, feel, do should always be present in any lesson, how no subject should be taught without application, I’m afraid too often we give mental assent to application during the lesson itself, but allow it to remain within the walls of the classroom. That this happens is evidenced by how infrequently someone can describe the “point” of Sunday’s sermon on Thursday! Especially for people well acquainted with the Bible, even those for whom Bible study and meditation is a daily practice, it’s easy to check off morning devotions or similar times as a fulfilled obligation. 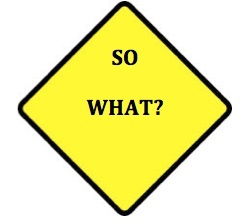 I believe asking ourselves the simple “so what?” question can become a valuable bridle to steer us into deeper thinking and ultimately more effective action. Just mentally asking the question without some form of practice usually isn’t sufficient to produce the fruit of life change, however. Someone said, “Action without thought is impulsiveness; thought without action is procrastination.” For the Christian desiring to ever deepen the relationship with God, the word thought should be understood as reflect. Biblical examples of this quickly come to mind. When Mary was confronted by the shepherds’ message that angels had appeared to them with news that the Messiah had been born, she pondered the words, she thought deeply, she reflected on their meaning. (Scripture doesn’t say she understood everything!) The psalmist writes, “Great are the works of the Lord; they are pondered by all who delight in them” (Psalm 111:2). I love the synonyms for ponder: contemplate, consider, review, reflect on, mull over, meditate on, muse on, deliberate about, cogitate on, dwell on, brood on, ruminate on, chew over, puzzle over, turn over in one’s mind! When was the last time you did any of that after reading the morning’s Bible portion or devotional paragraphs? A man I greatly admire said once that when a word or phrase in his morning reading is highlighted by the Holy Spirit, he writes the words on a small card which he then tucks in his shirt pocket. Throughout the day, he pulls out the card and ponders the words. At the end of the day, he thanks God for the richness of the words and whatever their effect has had on him–and others–throughout that the hours. This week Psalm 111 is the assignment for a group of us who regularly meet. This isn’t a study assignment but we rather read and re-read (ponder!) a psalm each week, seeking to answer the So what? question. My eyes stopped on a phrase in verse 10: …all who follow his precepts have good understanding… It was the word “follow” that caught my attention. My mental picture of following is somewhat passive, as in walking in the path of someone who is leading. But then I noticed that I’d written the word “practice” in the margin. Ah-h-h, practice has a bit more intentionality. To me it means to put a face on God’s precepts, to actually do something today that reflects one of those precepts. To end my morning time with God, I coincidentally!! opened Jesus Calling by Sarah Young and read these words: …concentrate on staying in communication with Me…follow My guiding presence… My So what? question for today had been answered! 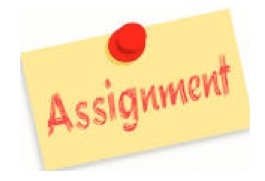 Do you remember those moments in school when, in the last five minutes before the bell signaled the end of class, the teacher said, “Here’s your assignment for tomorrow”? Plans to explore the nearby creek disappear. Leisurely phone conversations with best friends now have limits. On to the assignment. Assignments came to mind one recent morning after reading the assigned Psalm 144 for the week. As is my habit, I read it several times in two or three versions, then sat quietly asking God to make it real for me. Several thoughts surfaced and a variety of people and circumstances came to mind. I had already thanked God for the way he has faithfully “trained me for war.” How through study of and meditation on the Word, encouragement from the community of believers, growing trust, all have prepared me for the both large and small battles (verses 1 and 2). I identified with David’s awe as he wondered how in the world God deigned to love, work through and stick with us indecisive, frail beings (verses 3 and 4). And yes, I pleaded with God to intervene in situations of evil where it seems only God’s smoke, lightning and arrows can rout the enemy (verses 5 and 6). Now I asked God to give me an “assignment” for my day out of the psalm. “But, today, Lord. What is my assignment for today?” And out of the blue (out of the heavens, or as some Jewish friends might say, “from God’s mouth to my ear”!) came this thought: “Pray today—all day—for the Christians, especially the children, in Syria.” This was not a totally rare thought as several of us recently have been on our knees for those peoples; but today it was my assignment. And so, throughout that day, at stoplights, while reading a book, while writing letters, while working in the kitchen, I talked with God about the people of Syria. I asked God to give them strength, endurance, love for the enemy. I prayed that whatever material goods they have would stretch to cover their needs. I determined to give more of my money through my church to bring relief to my Syrian brothers and sisters. I prayed that the children would miraculously live long enough to see how God could bring good out of the enemy’s evil, that they would one day say along with Joseph, “You intended to harm me, but God intended it for good to accomplish what is now being done, the saving of many lives” (Genesis 50:20). At the end of that day, though I couldn’t personally see the results of my part in the assignment given by God, I was assured that that I had listened and acted. Some of those boys, already at or near the cut-off age of sixteen, did leave school at the end of the year. A few of those girls realized their dating dreams. But a cadre of other students listened to the assignments, worked hard and have made a difference in the world as successful teachers, administrators, parents and lawyers. Listen to God’s whispered assignments. He promised, “I will show you great and mysterious things which you still do not know about.” He might take you to and through your own “Samaria” along a feared and dangerous path, but you also might see miracles along the way. Don’t miss today’s assignment. She’s sixteen and her name is Promise. * She’s from a family of seven and accustomed to hard work so when her mother complained of a headache and developed a fever, Promise simply added her mother’s chores to her own. After three days, her mother died on the way to the hospital. A month later her father and baby brother became ill. Promise became the caregiver, and because she had heard radio reports of this disease called Ebola, she was vigilant about washing her hands and urged her three younger siblings to play outside their one-room house so they would be less likely to become ill.
You can probably guess the end of the story. Or at least the end as far as we know. Her five-month-old brother named Success (reflecting the family’s dream?) died as did her father. Eventually only a fifteen-year-old brother and thirteen-year-old sister remained alive in the house with Promise. We know nothing else of Promise and her family. Two American epidemiologists who worked in disease-stricken Sierra Leone tell another story. ** A young mother with her baby in a box was brought to a hospital. Her Ebola condition was already far advanced and she soon died. Although the baby tested negative for Ebola, medical personnel knew the disease often shows up later in infants and they were understandably wary. To protect health care workers, the baby was initially left in the box with soft blankets and food, but the workers were distraught that the child was without the comfort of human touch so they began tenderly holding him until he, too, died. In their arms. Twelve of those workers subsequently contracted Ebola. Only one survived. On the same morning I heard those two heartbreaking stories, I heard another account. This one about an American man who always travels to the city where his favorite football team is playing, but he wouldn’t be going to Dallas because of his fear of Ebola. I don’t know details about his story, so I can’t condemn the man’s decision. Perhaps his immune system is already threatened and he must take necessary precautions. Or he has heart disease or other medical issues requiring emergency room care. Maybe he isn’t aware of the myriad medical facilities in Dallas capable of giving excellent treatment. But there is stark contrast between his choice and those of Promise and baby-hugging nurses in Sierra Leone. Have you have heard the term NIMBY—Not in my backyard? Too often that is our reaction—and action—to events in the world. I’ll pray for those infected with disease, I might even open my wallet for their care; but God, please don’t send my nurse son or doctor granddaughter to care for them. Do we have the courage of people like Father Damien who, like Jesus, “pitched his tent among” the sick and dying? (“Pitched his tent” is the literal meaning of Jesus “making His dwelling among us,” described in John 1:14.) Read about Father Damien’s work among lepers at http://www.ewtn.com/library/MARY/DAMIEN.HTM. Do we resemble Christians of the first century who refused to leave urban areas when the dreaded plague infested hundreds of thousands of people? Pharmaceutical companies are scrambling to develop drugs to combat the horrors of Ebola. Will those drugs be equally as available to the Promises living in their one-room houses in Liberia, Sierra Leone and Guinea as they are to the Western aid workers stricken with the disease? Twenty-first century Western Christians—myself among them—subscribe to a safe faith, one without risk, one where avoiding the untouchable, the unhuggable, is the norm. 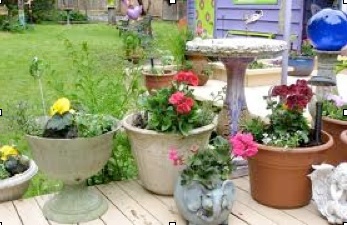 Is it still possible to challenge our teenagers to bravely walk outside their own green-grass-potted-flower backyards to a dying world? Will I walk there? Things to think about. Complicated issues to struggle with. Let’s not be unthinking, unstruggling American Christians any longer. It’s October with all the beauty of the season, and here in Colorado people drive miles into the mountains to see the golden aspens at this time of year. Although now a committed Coloradan, I admit that when we took our first mountain drive a few years ago at this season, I was not unduly impressed. I thought back to one autumn when I drove from Minneapolis to the Duluth area and was absolutely stunned into silence by the brilliant reds and golds surrounding blue lakes. Although I’ve now mellowed in the midst of aspen living and a few weeks ago rejoiced when I spotted a few fiery red maples sparkling among the golds on my drive to Breckenridge, this season still brings to mind the intensity of a Midwest color palette. And then the other day I looked out the patio door to the tree in our condo complex “backyard.” This summer it has been heavily laden with lush green leaves, so heavy in fact that if the leaves had been fruit, the branches would have touched the ground. The leaves are still green even at this October date. Except for those on one branch. The day I looked, they were greenish-yellow. Today they are turning to gold while all the surrounding branches are still a rich green. We all know that we live through seasons just as does nature. The “green” seasons find us full of energy and enthusiasm. “Winter” may mean times when we’re laid low with age, illness or just a sense of dullness. “Autumn” can simply be time to step back and evaluate the past, the present, and what we may need for the future. But is it possible that in the midst of any one of those seasons, we’re not all green or all dormant? I recently read about a young woman who went through a two-year period of a dry, nearly-dead walk with God. She had been fully involved in ministry, busy in a satisfying marriage and family and consistent in her “quiet times.” Now however, the Bible was a closed book, church services—rich for others—were mere formality, prayer was babble at best. One of her branches, that deeply spiritual part of her, was bare of leaves. St. John of the Cross became an important figure in Christian history through his poetry and his studies on the growth of the soul. The Carmelite nun? We look to her as an example of simplicity and practicality in following Christ. And we know of the faithful ministries of Spurgeon and Carey. The woman described above? During her own two-year dark night of the soul, she was surrounded by caring Christian friends who never once accused or “preached at” her. When she couldn’t see God on her own, they became living pictures of Him for her. She wrote that slowly but surely her life returned not to its previous spiritual vitality, but to a walk with and trust in her Heavenly Father unbelievably deeper than anything ever experienced before. In the midst of our seasons, God is there. Although we can’t feel or recognize Him, He is providing all that is necessary for vibrancy to return. He doesn’t leave. He doesn’t accuse. He waits for the time He chooses to again bring forth fruit. Gold or red leaves or luscious apples or juicy pears. Or life and ministry indescribably rich.